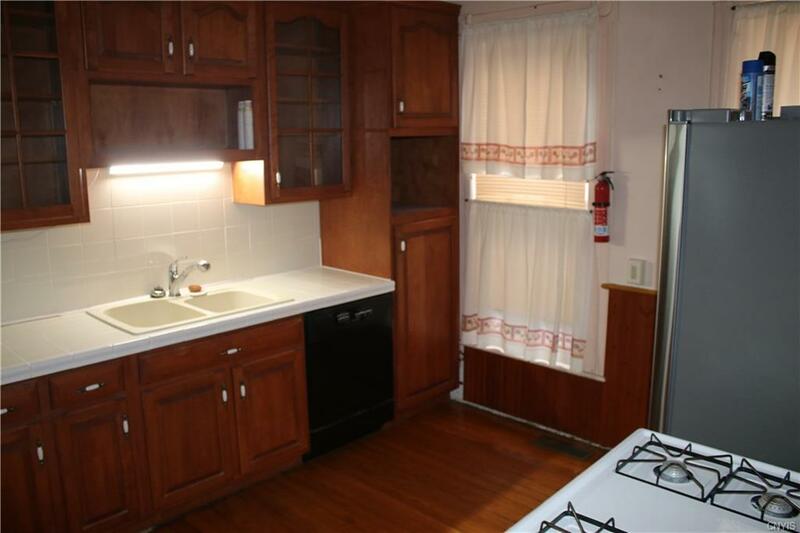 If you are looking for a home with great space this may be the home for you. 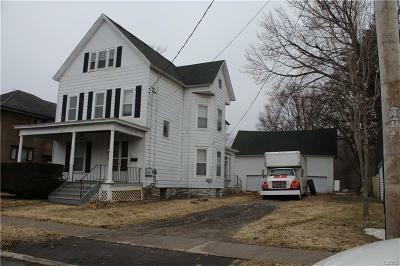 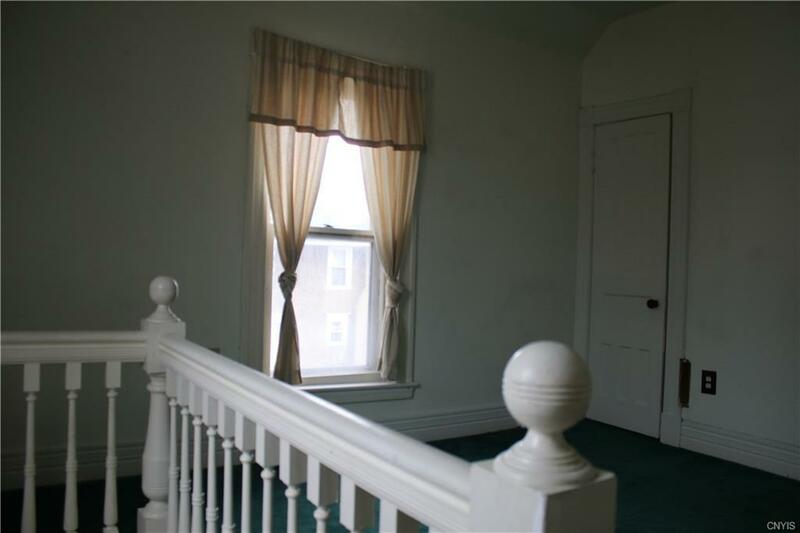 There are good size bedrooms, formal dining room, main floor bedroom & bath. 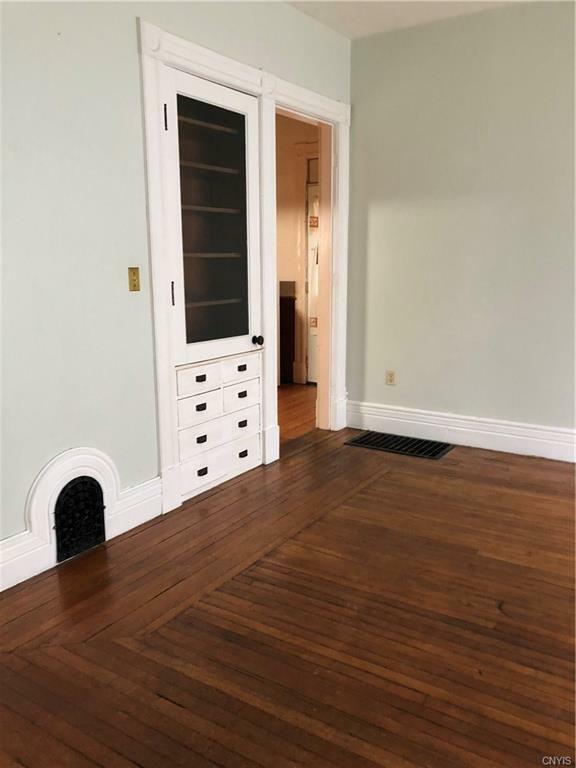 Pocket doors. 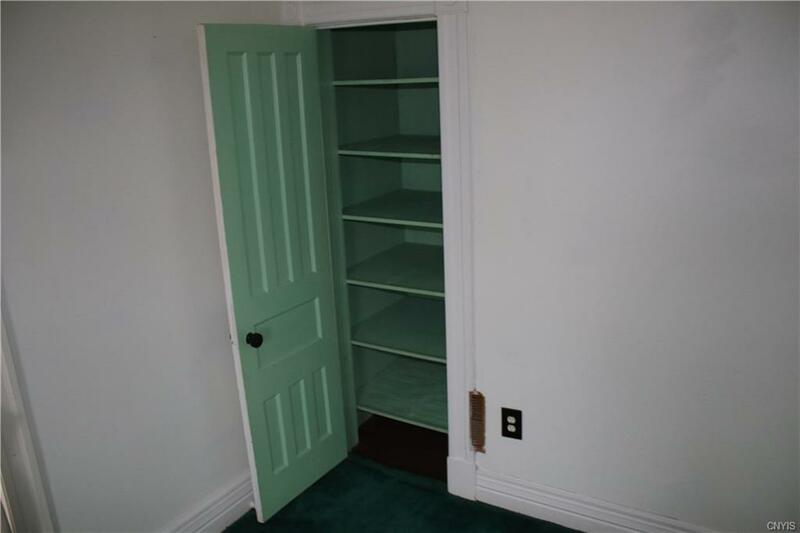 Spacious closet in entry that has original staircase. 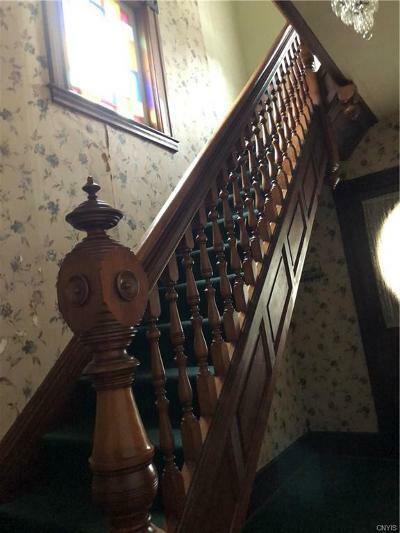 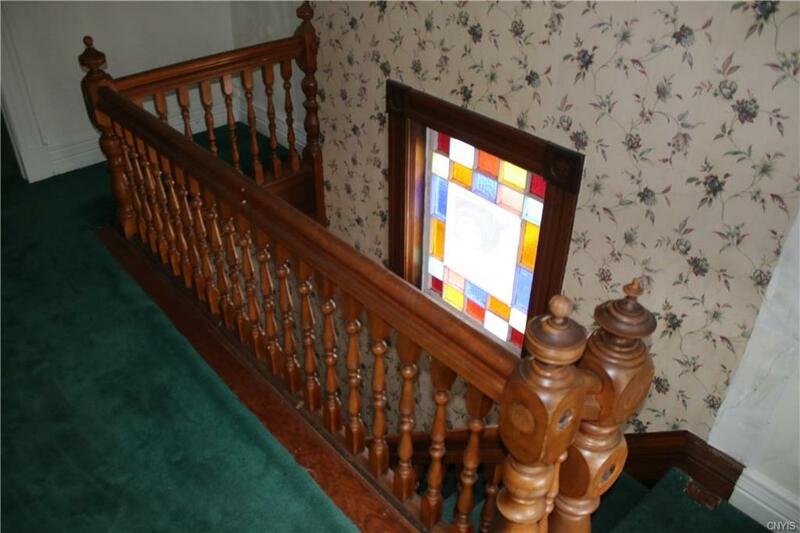 Original woodwork. 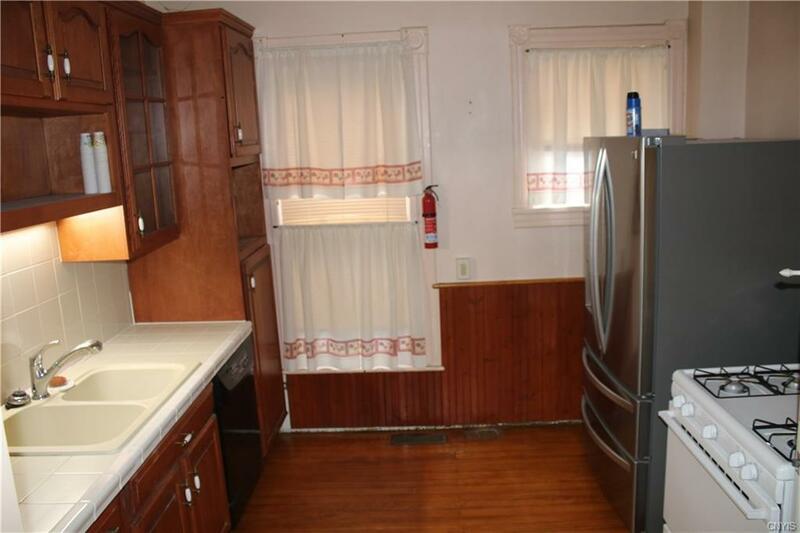 Updated appliances in kitchen. 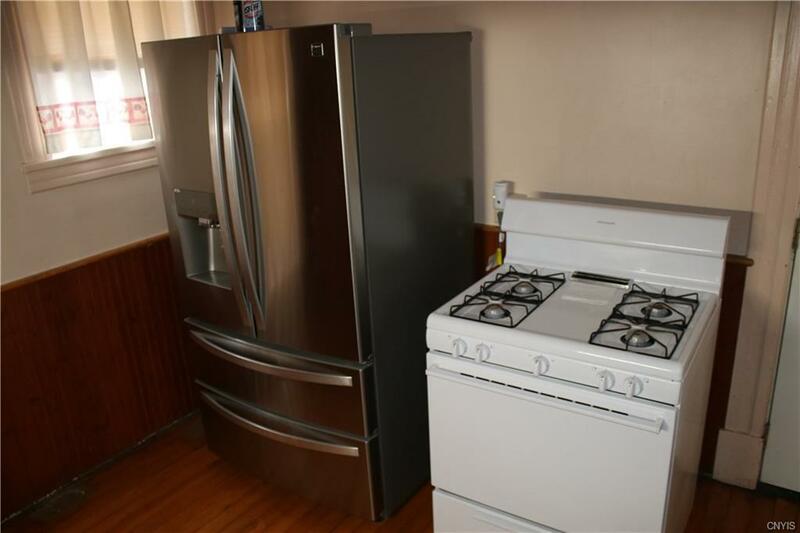 Stainless newer refrigerator is large with ice/water. 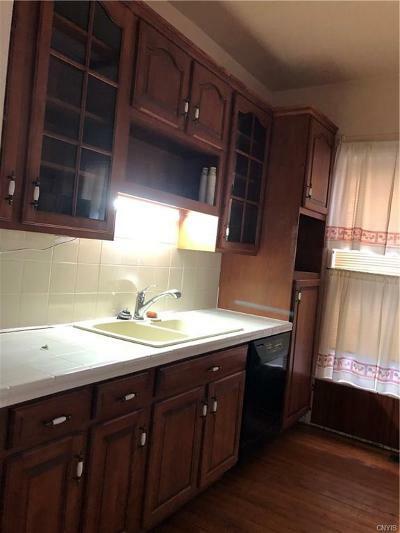 Really nice cabinets with glass doors. Garbage disposal.. 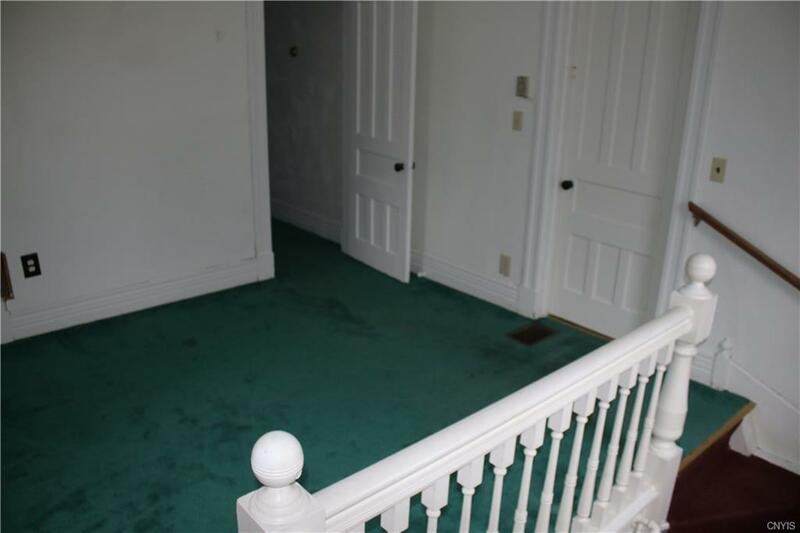 There is actually two rooms downstairs that could be bedrooms. 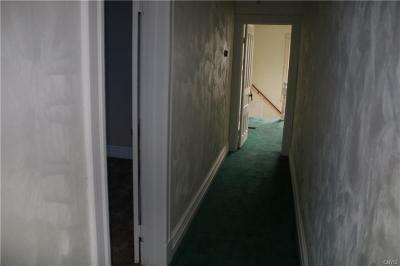 Extra room could be family room plus formal dining & living room. Hardwood floors. 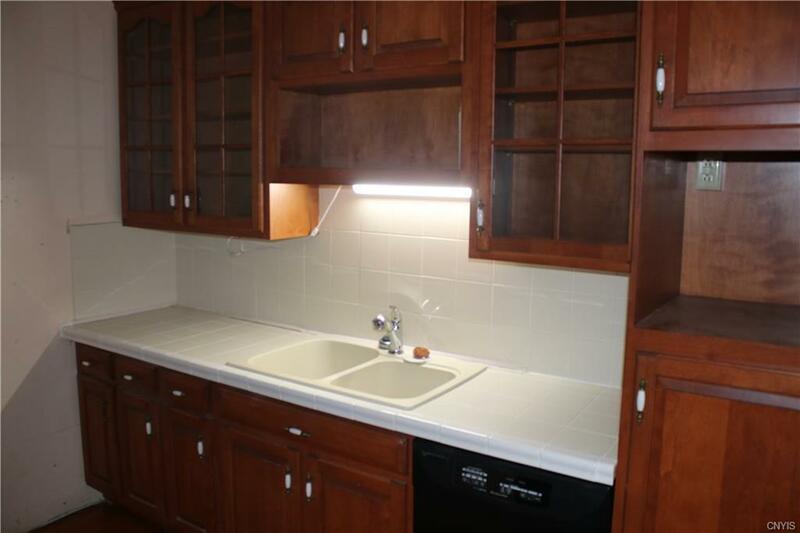 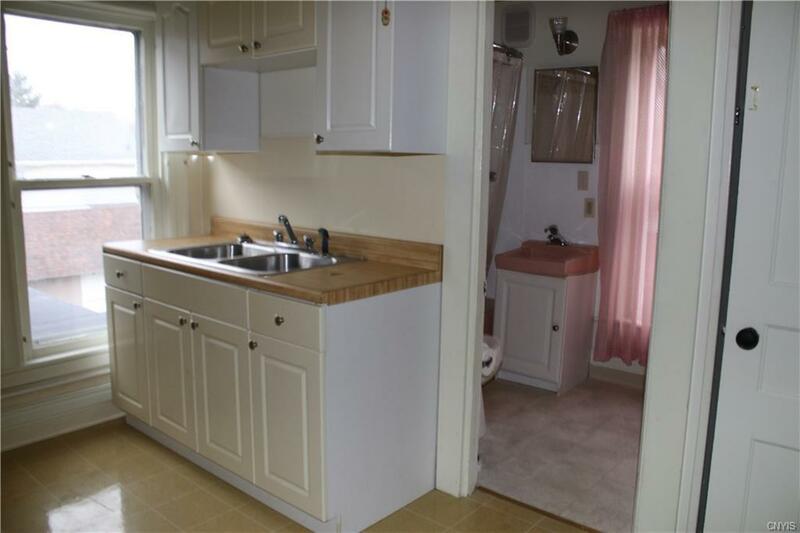 Laundry room is on second floor & includes washer & dryer plus a separate sink off upstairs bath. 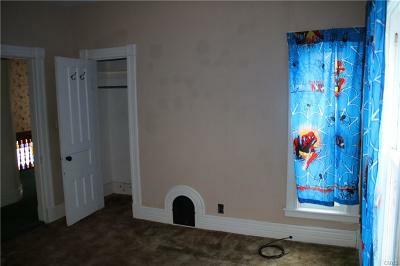 There is a two story garage. 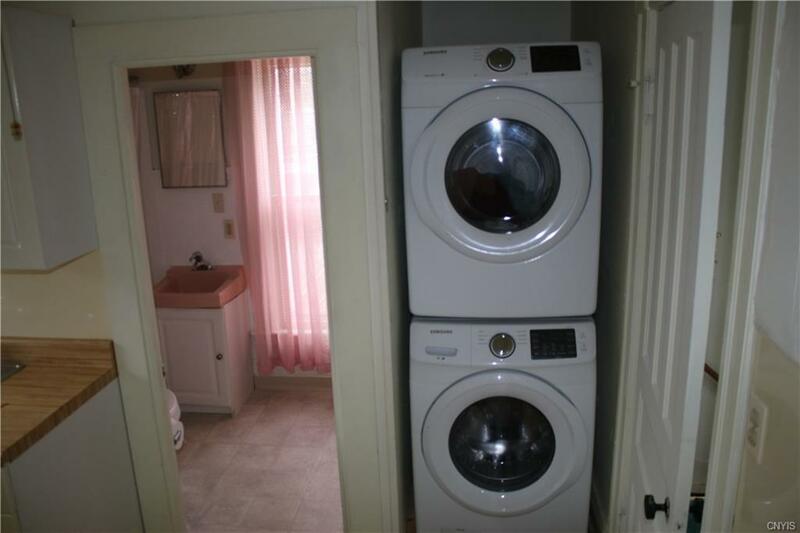 Washer & dryer are not very old. Thompson Park is close by. Easy commute to Fort Drum. 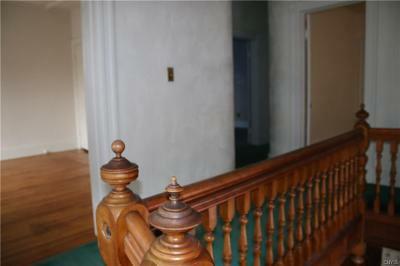 Front & back porches. 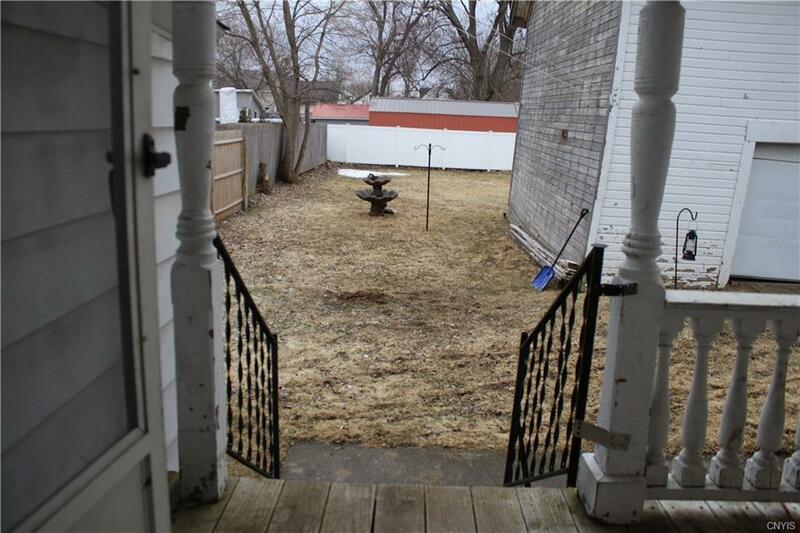 Spacious yard. Directions To Property: Franklin St. To Brainard Or Gotham To Brainard.